What is better than strawberries and chocolate? 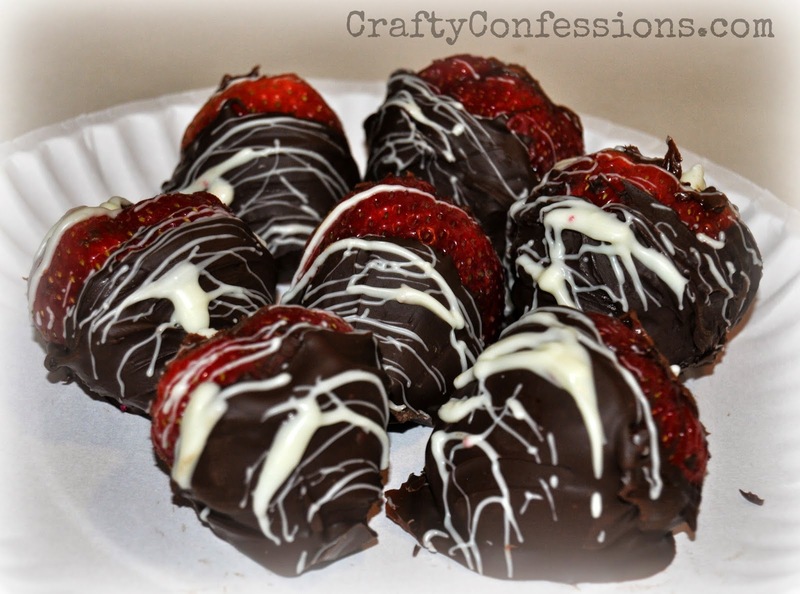 Strawberries and MORE chocolate! 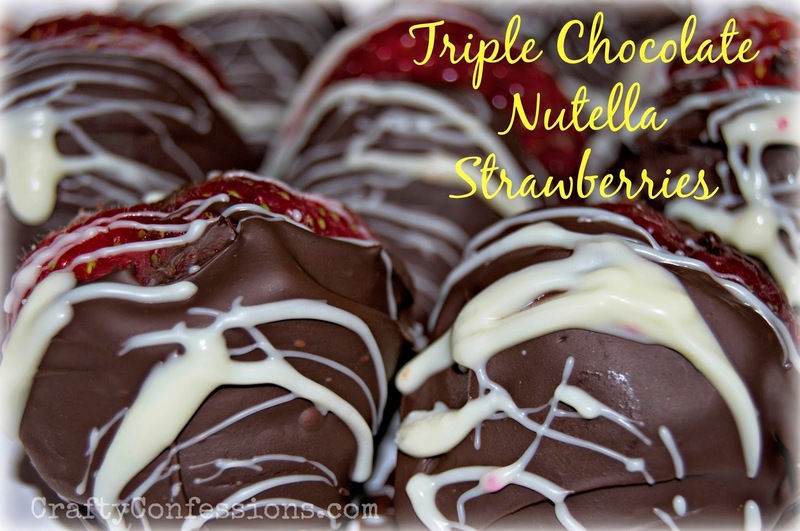 It is for that very reason I came up with my family's new favorite dessert: Triple chocolate Nutella strawberries. Not only are these super delicious, but they are quick and easy to make. 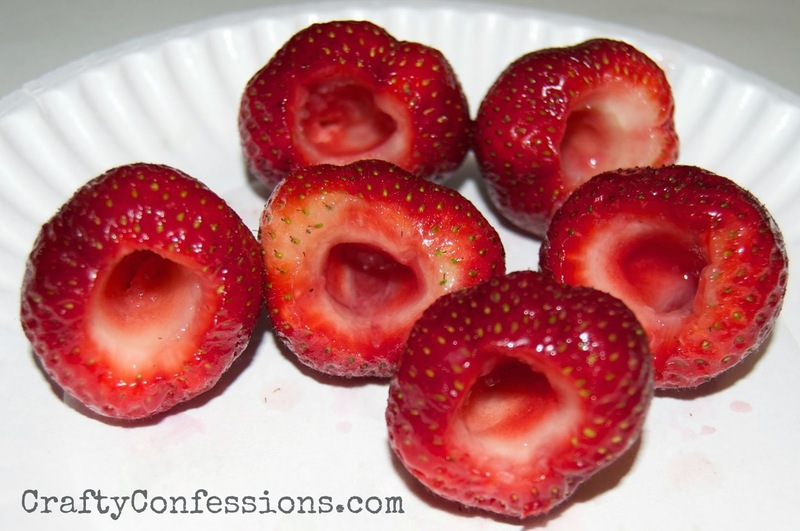 Wash your strawberries and hollow out the centers. Dry the outsides with a paper towel. They are much easier to fill and dip once dry. 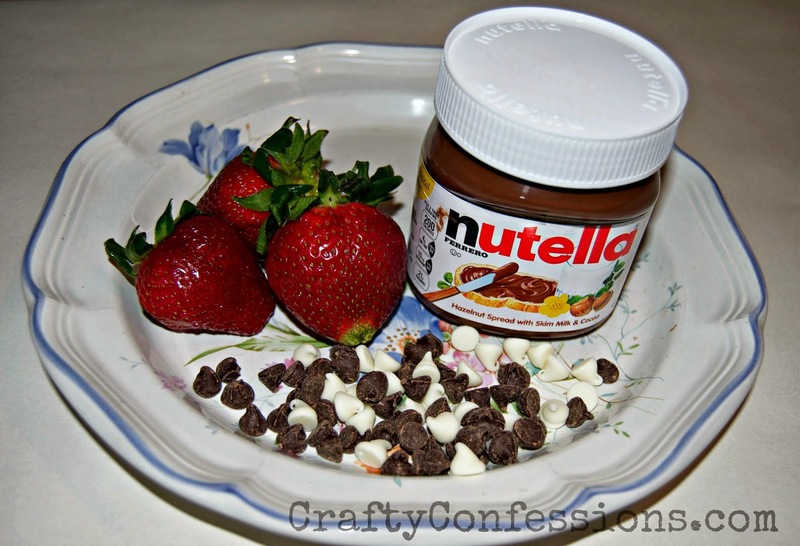 Fill the insides of the berries with a mixture of Nutella and white and dark chocolate chips. I prefer to layer the ingredients and finish them off with chocolate chips. 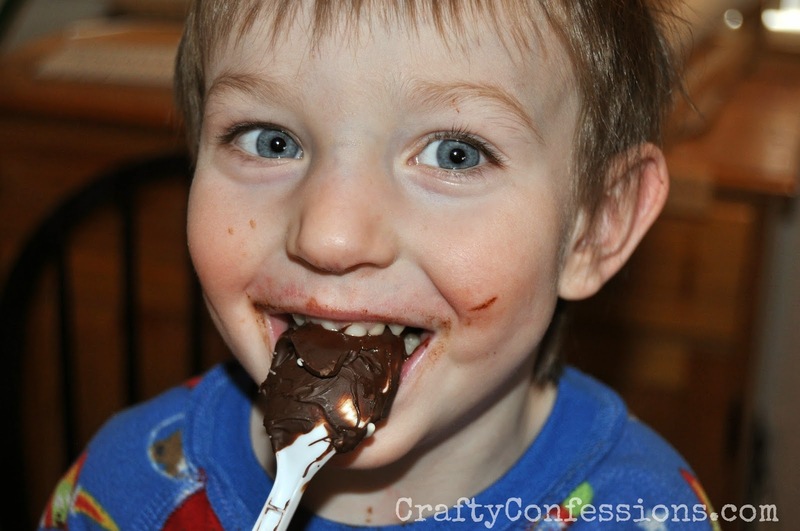 Next, dip those babies in melted semi-sweet chocolate and set them on wax paper. Once the chocolate has hardened drizzle them with white chocolate. Doesn't that look fancy? I know what you're thinking. Isn't all that chocolate a bit overkill? The answer to that question is no. No it is not. It is just the right amount of kill. Saying something has too much chocolate is like saying there is too much happiness, or too much democracy, or too many movies on Netflix. Philly helped me with the left over chocolate. Once you've finished your chocolaty masterpieces feel free to share them with your friends and family, or save them for yourself and a marathon of New Girl. Don't forget to Pin this recipe for future reference! Maintain ladies handbag faraway from sharpened physical objects always. In addition, be sure to never placed louis vuitton replica sharp physical objects with your ladies handbag similar to pencils, ballpoint dog pens, and many others. Never too much use your current prada replica ladies handbag. Whenever possible, employ your current ladies handbag double as well as thrice 7 days merely along with be sure to have a very subsequent ladies handbag. In case you wish to obtain legitimate along with duplicate developer totes on-line, you'll want to louis vuitton replica get needed measures in order that what we increasingly becoming are generally good quality totes but not getting pregnant deluded in the operation. One thing you want to do should be to fake rolex watch out for images in the totes offered. If you find merely one image, you must miss and look for one more. An absence of images not simply seems to be on your guard nevertheless very easy supply you with a possibility to genuinely glance at the ladies handbag you wish to obtain. The top versions gucci replica handbags incorporate people who demonstrate your ladies handbag offered in any respect aspects.